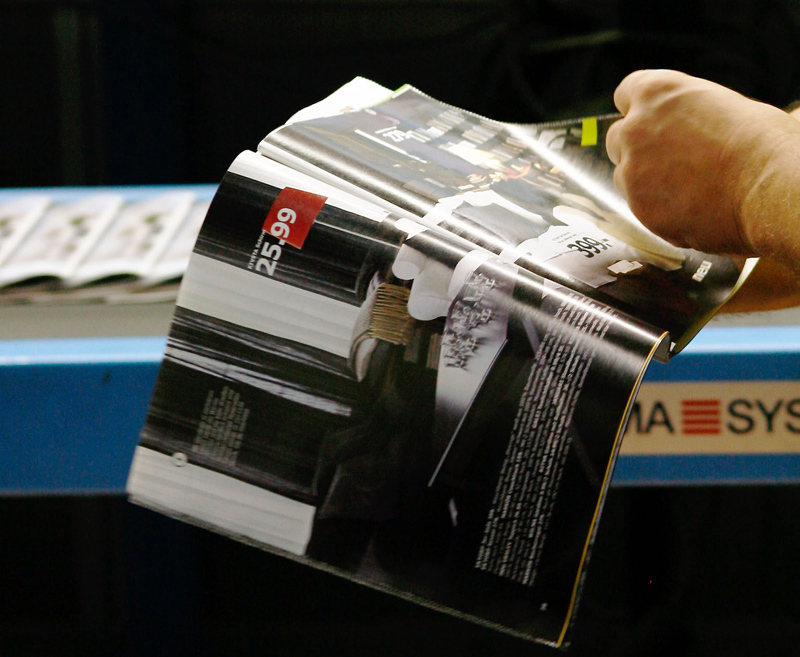 Be it magazines, catalogues, leaflets or adverts – your printed communication is in good hands: We stand for high quality, flexibility, timely delivery and optimal cost through our industrial production processes. We specialise in large-volume and thick catalogues and magazines as well as advertising print in several millions of copies. You can benefit from our diversity in services, our expertise and the size of our business. We print and process printed media such as magazines, catalogues and large volumes of advertising materials for retailers in Germany and in neighbouring countries in Europe. Contact us if you are looking for a professional and committed printing group for your printed advertising. 7 gravure presses with a paper width of up to 3.68 meters, 3 web offset rotations with a paper width of up to 2.86 meters, 5 saddle-stitchers, 2 perfect binders and 8 wrapping lines ensure that in a short space of time, a large volume of high quality prints can be produced.